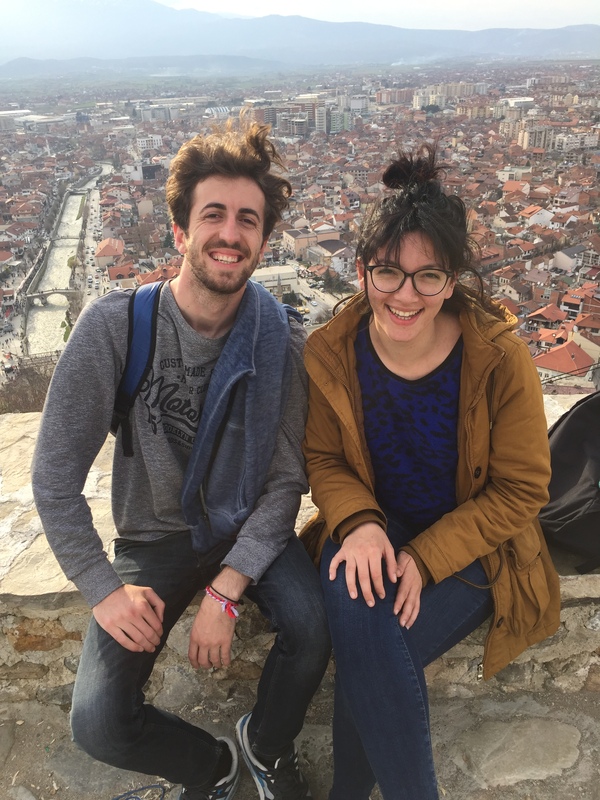 The second part of the Youth Exchange started by a trip to Prizren. We followed the evolving and everchanging traces of stories through the old city. Stories of another city, manifested in architecture and people’s memories. We visited the Mosque, Orthodox Church, Catholic church and the fortress, searching for different narratives about the same places, as well as the “League of Prizren”, a museum dedicated to this historical league of united Albanians during ottoman empire. 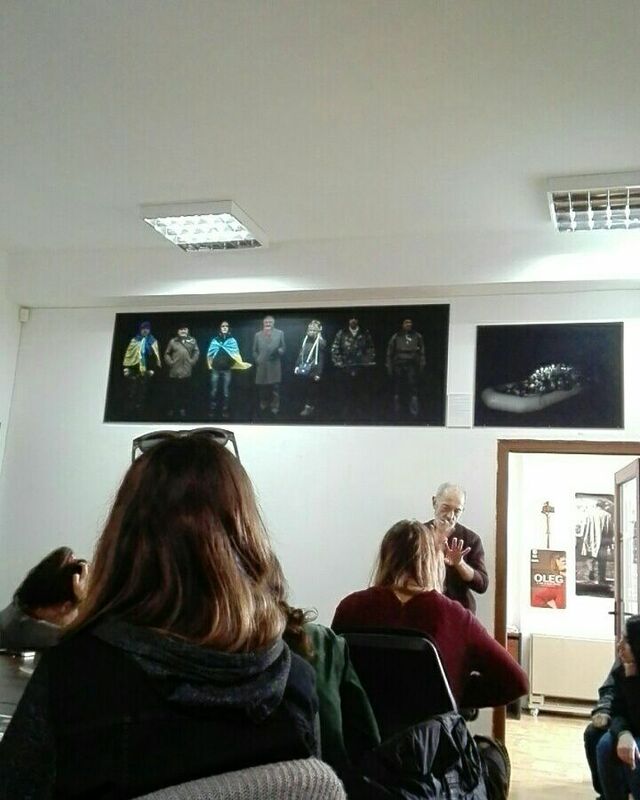 An inspiration-awakening conversation with Veton Nurkollari, project manager and artistic director of DokuFest -an anually dokumantary film festival in Prizren, taking place this year for the 15th time- taught us how he and some friends created the festival in order to preserve the only cinema in Prizren. Eventhough they were left with basically no resources, through the years and their voluntary engagement and dedication for the idea, DokuFest grew so big that it is now the biggest cultural event in Kosovo. It was a great inspiration to talk to Veton, hear the story of DokuFest created from scratch and get a slight insight in the mechanisms behind the festival. 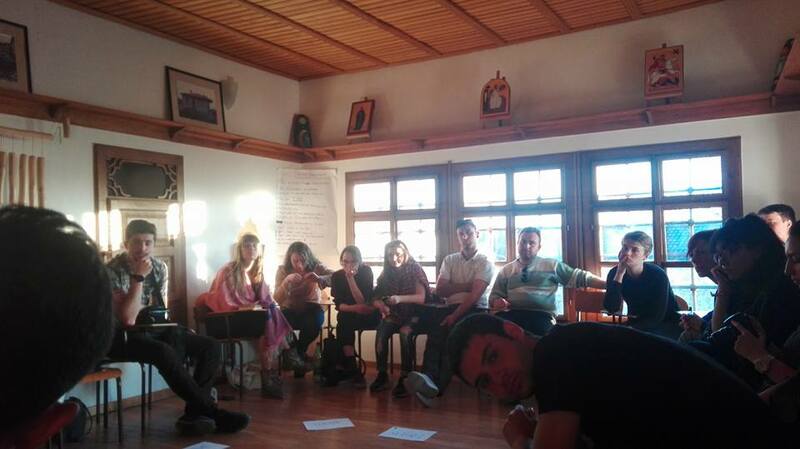 Back in Velika Hoca, we got deeper into confronting with our very identity and its relatedness to a collective identity. Be it the nation or ethnicity. We talked about how far is being part of a group a dictated attribute of an individual and how far it is autonomously chosen. About which mechanisms we do recognize in our own behaviour that are dictated from outside. How we can overcome the totalitarism of single narratives. 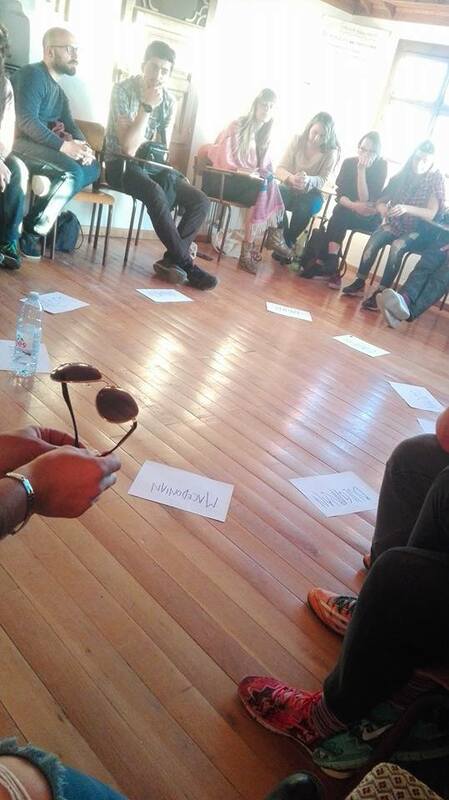 Therefor we engaged in the part of storytelling in the last two days of the project, developing a narrative about the Youth Exchange. An apricot tree has been planted by our group, Martenicas -Bulgarian bracelets that announce the beginning of Spring- have been spread on wrists and trees all around the village, we left a plate to thank the village for their welcoming hospitality. Besides, we had conversations with locals and project participants, collecting their stories from past and the very present. Those stories will be published on Mything Point, the project’s blog. An introduction in the Easter tradition of decorating eggs by local women. Every year, eggs are being decorated with wax in every family. The first three eggs painted are considered to have special powers and are given as protectors to friends and family. The other eggs are shared, sold -even reaching Belgrade. On the evening of the last day our group invited people from the village to Saraj Garden, to tell them about what we’ve been doing during the past 10 days through a collection of photos and a video that has been created by some of the participants. You can find it here and get your own impression about how life in Velika Hoca looked like for us. After going through 10 on all level intensive days, it was hard to leave the village. Our group brought a different dynamic to the place, and the connections we made with our hosts, cooks and the owners of Kafanas (small pubs) and Sveti Stefan Vinica as well as with the people we met during our interaction with the village, could not just end after those 10 days. This Youth Exchange was a time of connection, reflection and creation beyond borders.